Two people were sent to the hospital following a tower cross arm failure. Lifts are being inspected in New England following a chairlift accident at Timberline Resort in West Virginia on Saturday. Twenty five people were reportedly thrown to the ground when the cross arm broke apart from the tower, possibly due to a bad weld. The Thunderstruck Triple Chairlift was reportedly installed new at the ski area by Borvig in 1986. In Vermont, Suicide Six's main double chairlift has been shut down this week after an inspection revealed cracks in two towers, according to the Valley News. The 1975 Borvig is expected to be repaired in time for a Friday reopening. The lift was previously retrofitted in 2015 in response to a rollback at Sugarloaf. The other two Borvig lifts in Vermont reportedly passed inspection. According to a State of Maine regulation official, Sugarloaf has one lift that will need to be retrofitted. Sunday River and Squaw report they made a Borvig recommended modification to their towers years ago. 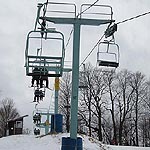 In New Hampshire, the Borvig chairlifts have been reportedly checked out with no closures, according to the Valley News. Connecticut relies upon ski areas and their insurance companies to conduct advanced inspections, according to a Bureau of Elevators spokesperson. Four ski areas in the state have lifts with Borvig components. Neither of Rhode Island's two ski chairlifts are Borvig. Massachusetts tramway officials have not answered calls or responded to e-mails at the time of this article. 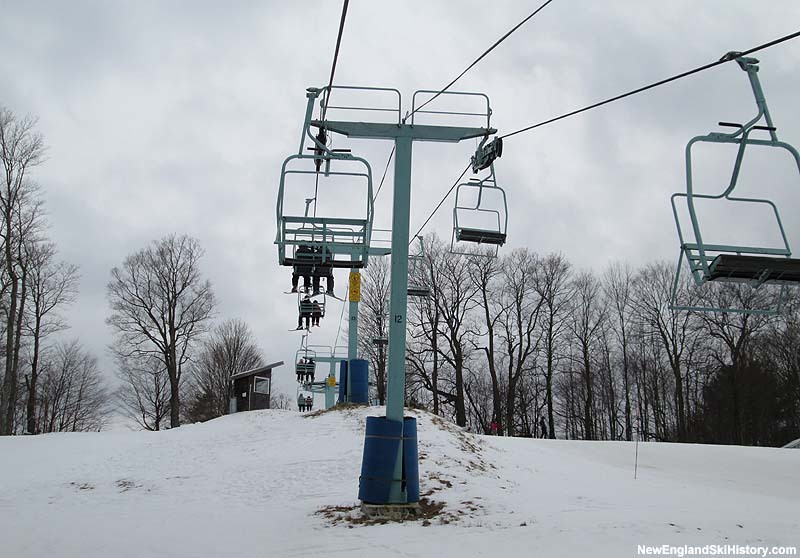 The West Virginia accident is the latest in a series of incidents involving Borvig chairlifts. In late January, two were injured at Granite Gorge when a grip slipped. Last March, 7 were injured at Sugarloaf when a coupling on the King Pine Quad failed, resulting in a rollback. In December of 2010, multiple people were injured at Sugarloaf when the Spillway East Double deroped. Borvig manufactured fixed grip lifts from the the 1960s through the early 1990s. Over two dozen lifts with Borvig components remain in operation in five New England states.